Gov. Paul LePage speaks at the Maine Republican Convention at the Augusta Civic Center in Augusta in May 2012. The Internal Revenue Service might not be as bad as the Gestapo, but the federal tax collection agency is headed in that direction, Gov. Paul LePage said Thursday during a visit to Vermont. “But they’re headed in that direction?” asked reporter Paul Heintz, who posted the audio recording of the interview online. LePage was in the Green Mountain State on Wednesday and Thursday to attend fundraisers for Vermont Republican Randy Brock, who is running for governor. Brock stood next to LePage during the interview. “Do you have a sense of what the Gestapo actually did during World War II?” asked Heintz after a Thursday morning fundraiser at a South Burlington hotel. “Yeah, they killed a lot of people,” LePage replied. “They’re headed in the direction of killing a lot of people?” Heintz asked, referring to the IRS. “Yeah,” LePage said. “You know why? Rationing. They ration health care in Canada, that’s why a lot of people in Canada come down to the U.S.
LePage’s latest comments comparing the IRS to the Gestapo, Adolf Hitler’s secret police force in Nazi Germany, came less than a week after the governor initiated a barrage of criticism by calling the IRS “the new Gestapo” in his weekly radio address focused on the recent Supreme Court ruling largely upholding the Affordable Care Act, the Obama administration’s signature health care reform law. Jewish groups, Democrats, the leader of the union representing IRS employees and others called for LePage to apologize. LePage’s office also acknowledged that the governor apologized privately to Emily Chaleff, executive director of the Jewish Community Alliance of Southern Maine. And on Thursday, LePage spokeswoman Adrienne Bennett confirmed that the governor’s upcoming weekend radio address will contain a public apology. “Governor LePage’s fitness to hold office must now be seriously and openly questioned,” Grant said. The head of the National Treasury Employees Union also expressed dismay at LePage’s continued comments about the IRS. “It is extremely disappointing and distressing to witness not only the continuing refusal of Maine Gov. 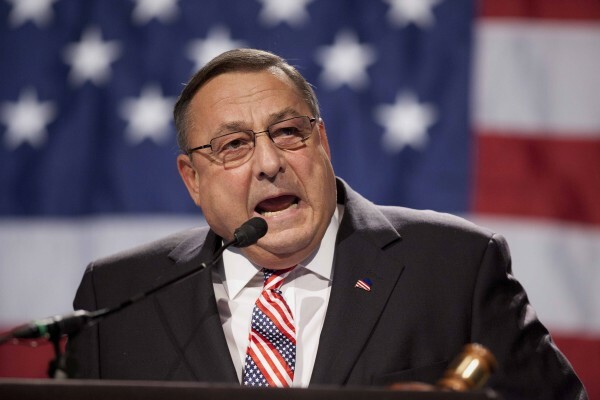 Paul LePage to apologize for his gratuitous insult directed at Internal Revenue Service employees, but to see him continue his attacks at a fundraising event today,” Colleen Kelley said in a press release Thursday. Maine Republican Party Chairman Charlie Webster repeated Thursday that, by focusing on LePage’s comments, Democrats are trying to divert attention away from other topics. PolitiFact points out that no health insurance plan in the existing market, whether private or through Medicare or Medicaid, allows unlimited health care services. PolitiFact also notes the rationing claims largely originate from the Affordable Care Act’s creation of the Independent Payment Advisory Board, a panel charged with developing a plan to stem Medicare cost increases if the increases exceed particular targets. While the panel’s recommendations would apply to the entire Medicare program and not individual patient treatment decisions, Affordable Care Act opponents have said they fear the group’s recommendations would result in cutting payments to doctors, which would affect patient care. Under the Affordable Care Act, the IRS will have no role in determining the health care services patients receive. Instead, the agency will provide tax credits to help individuals and small businesses pay for health insurance and assess penalties on individuals who remain uninsured and businesses that don’t provide employees with insurance.